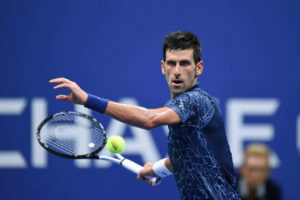 RedArmyBet brings you a betting preview, tips and enhanced odds as the 2019 Monte Carlo Masters takes place. The first of the clay Masters 1000 events has arrived, as the tennis world flocks to the South of France to get a glimpse of the Monte-Carlo action. It is a tournament that has been dominated by Rafael Nadal this century, having won a record 11 titles and you feel if he can remain injury free, that’s likely to be closer to 15 come the end of his career. Yet again, Roger Federer avoids this week having played his last match on the red surface back in 2016, though he looks likely to make a return to it next month in Madrid, while two-time winner Novak Djokovic comes here as the Spaniard’s main threat. 33 of Rafa Nadals’ 50 Masters, Grand Slam and ATP Finals titles have come on clay. Indeed, a third of have come at this very tournament as he’s won 66 of his 69 matches here since 2005, only losing to Novak Djokovic (2013 Final, 2015 SF) & David Ferrer (QF 2014). That successful run makes him the only man in the modern-era to win eight straight titles at a single competition (2005-12) and so his biggest challenge is likely to be just remining fit more than anything else. The world no.2 lost just one of his 25 matches last year during the clay court season, though he looks more than capable of repeating that feat if not bettering it this year. Indeed, since lifting the French Open last year he’s reached the semis at both Wimbledon and US Open, as well as being runner-up at the Australian Open, while that compares to his fourth-round at SW19, victory at Flushing Meadows and quarter-final exit Down Under in the build-up to that incredible red surface form last year. Novak Djokovic is back to his prolific best having won 45 of his 50 Masters and Slam matches since Wimbledon last year. That title was his first Slam since succeeding at Roland Garros in 2016, but it has catapulted him on to win nearly every tournament since. Indeed, although the Serb looks his most vulnerable on this surface, that doesn’t mean he’s going to roll over easily as between 2011 and 2016 when he dominated the sport, he managed to win 96 of his 109 Masters and Slam clay matches, with five of those defeats coming against Nadal. However, the world no.1 has shown he is human after all with recent slip ups against both Philipp Kohlschreiber (Indian Wells 3rd Round) and Roberto Bautista Agut (Miami 4th Round) in his last two tournaments. 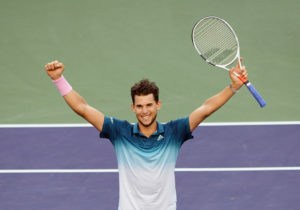 Dominic Thiem remains the only man over the last two seasons to beat the ‘King of Clay’ on this surface and off the back of his maiden Masters title at Indian Wells last month, he has to be respected. Of course, it is surprising that his first was to come away from his favoured clay surface, but that’s testament to his ability having gone into the tournament as an 80/1* shot. Indeed, he’s had other opportunities at both the Slams and Masters to claim a maiden title on the big stage, but it has been Nadal twice and Alexander Zverev that have stopped him in his tracks as he finished runner-up in Madrid (twice) and Roland Garros. The Austrian has split his 10 matches in Roque-Cap-Martin since his 2014 debut, though he’s been unlucky since 2016 (when he started proving competitive) as Nadal (twice) and David Goffin knocked him out from his three attempts. In fact, he’s won an impressive 35 of his 47 matches at both Masters and Slams on clay since 2016, as it’s taken a top quality player each time to knock him out. The only next generation player to have lifted a clay court Masters title in recent times has been Alexander Zverev. The German won Rome in 2017 and Madrid last year as he’s gone W22-L4 on this surface at all of Monto-Carlo, Madrid, Rome and the French Open since that title in Italy. Having won the Tour Finals at the end of last season many expected him to push on this season and start to make some real headway, but that hasn’t quite happened yet with five defeats form his 14 matches at tour level already, including a second round loss in Marrakech to 60th ranked Jaume Antoni Munar Clar last time out. As previously mentioned, Rafa Nadal has only lost to one man on clay since the start of 2017, winning 50 of his 52 matches over this period. That is a phenomenal record and with this tournament being his favourite of the Masters events, we’d be very surprised to not see him challenging for a 12th title, especially with his two biggest competitors Novak Djokovic and Dominic Theim in a separate half of the draw. Zverev is in the Spaniard’s half of the draw and although he has some spectacular form at these Masters events, it wouldn’t be a surprise to see him get knocked out early given his performances so far in 2019. A scheduled opening round against Miami semi-finalist Felix Auger Aliassime is tricky, while he’ll also have to overcome clay court specialist Fabio Fognini. We can quite easily see quarter breaking up, which only favours Rafa further in his quest for a 12th straight title. Theim is in line to meet the Djokovic in the semis but his path looks much easier than his counterpart. His only danger seems to be a potential third-round meeting with Goffin and although he lost to him here in 2017, the Austrian is much improved since then, while the Belgian has been well off the pace this season. At double the price, Theim certainly looks the value bet over the world no.1. Indeed, Nole has a trappy draw with awkward opponent and his Indian Wells successor Kohlschreiber in his opening round.